Boutique firm specializing in marijuana law, criminal defense and juvenile law. Representing individuals and businesses in all aspects of marijuana law, criminal defense and litigation. Felony and misdemeanor defense, federal crimes, drug crimes, and DUI's. Mr. Gardner represents individuals in all areas of criminal defense from probation violations to felony appeals. He has a 100% success rate on appeal and has achieved numerous dismissals throughout his career. Put his experience in over 30 counties in Michigan at work for you. Michigan has some of the most severe DUI and drugged driving penalties in the country. Whether you are charged under the new super drunk law or for using marijuana before getting behind the wheel, you need quality representation to keep your rights intact. Attorneys with this firm have years of experience in representing all manner of drunk and drugged driving cases. With experience in over 30 Michigan counties, our lawyers work tirelessly to provide our clients with the best representation possible. There is a need for the best legal advice possible in criminal matters beyond that which is offered by the public defender system. Our lawyers have experience in over 30 Michigan counties, providing clients a wealth of knowledge of the court system across the state. Lawyers have also written briefs to the Michigan Supreme Court and published articles on emerging legal issues. This law firm is 100% client-focused. Here, the client's goals are met aggressively and at little cost to the client as possible. Charging a flat rate helps to achieve this by allowing the client to know up front exactly what their representation is going to cost. There is no sticker shock or hidden costs at this firm. Brandon Gardner founded Brandon Gardner & Associates, PLC with one thought in mind: "Who is most in need of a lawyer?" The answer came to him after a lot of thought - people facing criminal prosecution, children and young adults. He completed his undergraduate degree at California State University, Fullerton and earned his juris doctorate from Michigan State University College of Law. 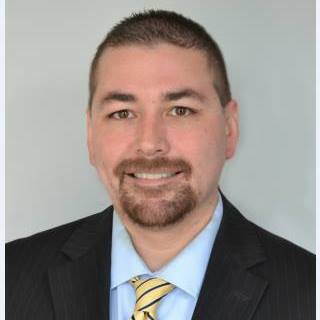 During law school, Brandon clerked for an Ingham County Circuit Court judge, served as an investigator for the Ingham County Probate Court, served on several law student organizational boards, and worked for prominent law firms in mid-Michigan. Brandon is admitted to practice throughout Michigan, the Federal District and Bankruptcy Courts for the Western and Eastern Districts of Michigan as well as the Sixth Circuit Court of Appeals. His professional memberships include the Marijuana Law Section and Children's Law Section of the State Bar of Michigan, the National Organization for the Reform of Marijuana Laws, and the Grand Rapids Bar Association. He is rated AV Preeminent by Martindale-Hubbell for legal knowledge and ethical conduct and listed as a Super Lawyers Rising Star. He has written several articles for the Ingham County Bar Association's "Briefs" and the Grand Rapids Lawyer and filed briefs with the Michigan Supreme Court and the Michigan Court of Appeals. Mr. Gardner has practiced in over 30 Michigan Counties and appeared before over a hundred jurists. Mr. Gardner is an active volunteer in the community and regularly assists the homeless, sober living groups, first responders, schools, local farms and businesses, and service members.